The Vatican releases a statement saying that Pope Francis has begun meeting with victims of priest sexual abuse in Chile. The Director of the Holy See Press Office, Greg Burke, released a statement in Spanish on Friday regarding Pope Francis’ meetings with victims of priest sexual abuse in Chile. Greg Burke says that Friday afternoon Pope Francis began his “personal meetings with the victims of abuse committed in Chile”. By the “express desire of the Pope”, there will be no official communication regarding these meetings. The Pope’s priority is “to listen to the victims, ask them pardon and to respect the confidentiality” of these meetings. Greg Burke characterizes the climate the Pope is creating as one of “trust and of reparation for suffering”. 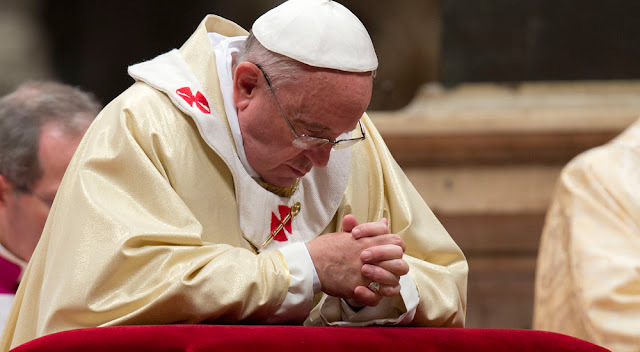 He then repeats what was communicated in Wednesday’s statement that Pope Francis will allow each of those invited to take “as much time necessary”. Therefore, there are no “fixed appointments” or “pre-established topics” to cover.